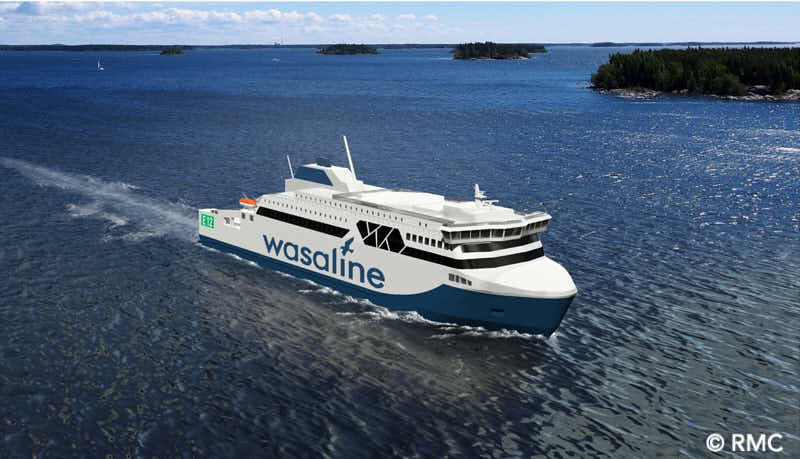 One week ago, Kvarken Link and Rauma Marine Constructions signed a letter of intent concerning the new building of the Kvarken ferry. On Monday 21 January, both parties have signed the actual construction agreement. The vessel order is approximately €120 million. The ferry will accommodate approximately 800 passengers and will have a freight capacity of 1,500 lane meters for lorries. The vessel will be designed to be environmentally friendly, with machinery running on a dual fuel solution: besides liquefied natural gas it can also be operated using biogas. The ferry has an ice class of 1A Super, in order to guarantee that the vessel can navigate as independently as possible in the challenging ice conditions that are a feature of the Kvarken region.